Wording for a gift certificate (also known as gift voucher) is difficult to get right. There are a few mandatory elements and some optional elements you want to include in a gift voucher. In addition to these standard elements, you may consider a few legal arguments to include in order to force certain restrictions on the usage of your gift voucher. voucher value (in dollars or your local currency) or service provided. This is the most sensitive element of the certificate. In particular, you do not want for the customer to easily change the amount! So it's better to have it printed rather than manually written. certificate serial number. A serial number is important for multiple reasons, in particular to fight against fraud and to keep track of gift vouchers you've issued. By giving every gift voucher a unique number, you can easily verify that it has not been modified when the customer wants to redeem it. For example, you can have a tracking log associating serial number with its value, issuance date and customer name. purchaser's name: probably a mandatory element for most vouchers! restriction for a certain type of service / product: if you want to offer a certificate for a specific service, mention "valid only for service X" or "to be used towards the purchase of X". no cash value. This will protect you against customers willing to redeem the certificate for cash (people will try to do that!). Mention "no cash value" or "not redeemable for cash" on the certificate. non-transferability: if you want the certificate to be redeemed only by the person whose name is stated on the certificate, mention "non-transferrable" on the certificate. certificate expiration: this might not be legal in your state / country. Check your legal regulations or an attorney for this. If it is legal, you might want to include a certificate expiration date, to avoid having certificates out in the open for years. One year from now is a good default. Mention "expiration date: 2012-03-17". Now you know what elements are important to come up with for a good gift certificate word, so work your way through a gift certificate template and mix and match the different elements until you're satisfied with the result! 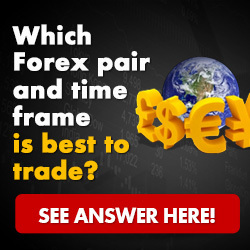 Next PostNext Best Forex Expert Advisor – How Do You Know What is the Best Forex Bot?